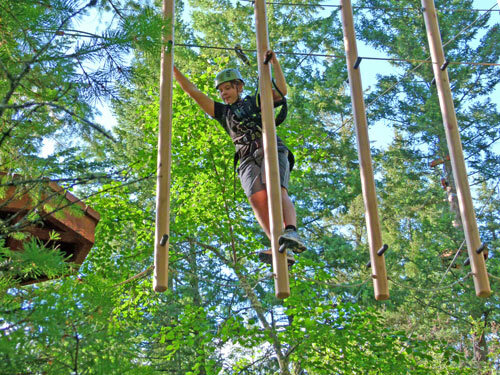 Award-winning for the array of adventure choices; Oyama Zipline Adventure Park boasts the only full-size aerial ropes courses & zipline park in BC. The Madsen family brainstormed with friends to find a business to utilize 72 beautiful acres overlooking the Central Okanagan Valley. 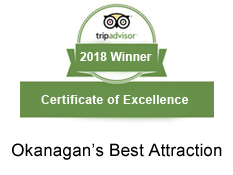 Peter and Jennifer Madsen have created the #1 Zipline and Aerial Park in the Okanagan Valley (TripAdvisor). With the most diverse amusement rides plus a separate Aerial Park and Kids' Play Park; this tourist attraction is one of the best outdoor adventures in British Columbia. 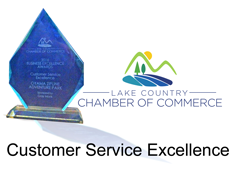 The team's superior customer service wins awards and kudos for community outreach and adventure park excellence. In 2011 the first ziplines opened. 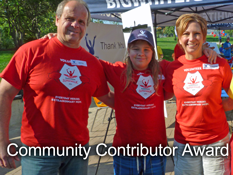 Each year expansion and improvements have been completed. Now rides are available for pre-schoolers as well as adrenaline-fuelled climbing, jumping and zipping for outdoor adventure-seekers. For a quick synopsis of our facility please browse our Park Overview. New Green, Blue & Black courses offer a fresh way to challenge physical & mental prowess in an invigorating outdoor setting. Explore via 3-levels of platforms and tree-to-tree obstacles. 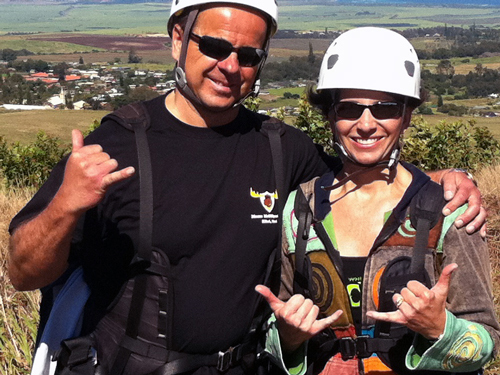 The Aerial Park not only provides more choices for local groups and tourists, but is a lower price-point than the Premium 7-station Zipline Tour. 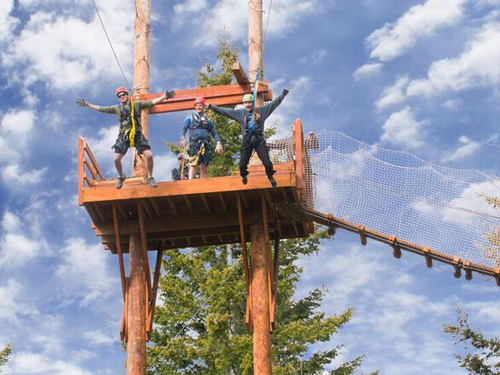 Families and Groups will find that Oyama Zipline Adventure Park now has something for every age group and ability. Little Monkey Play Park is open with aerial trekking and zip lining for ages 3 to 11. This new netted aerial play area is a perfect venue for children's birthday parties, group events, and school field trips.